Dr. Louise Noble joined the School of Arts in July 2002. She has a BA (Hons. ), MA and PhD from Queen's University, Canada. She retired from full-time teaching and researching at UNE in 2016. Louise’s research field is sixteenth- and seventeenth-century English literature and culture. More recently she has been working on the relationship between literature, culture and the natural world both in early modern England and in post eighteenth-century Australia. Specifically she is interested in how different representational forms, such as literature, music and art, shape cultural memories of water and what we can learn from this for the future. 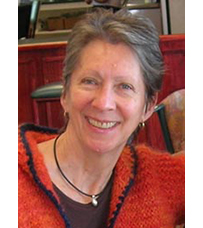 Louise is a member of the UNE WRaIN Group, and the UNE Environmental Humanities Research Network. Robyn Bartel, Louise Noble, Stephen Harris and Jacqueline Williams, Water Policy, Imagination and Innovation: Interdisciplinary Approaches.Earthscan Studies in Water Resource Management. Abingdon, Oxford: Routledge, 2017. Louise Noble, Medicinal Cannibalism in Early Modern English Literature and Culture. Early Modern Cultural Studies Series. New York: Palgrave Macmillan, 2011. Louise Noble, “Bold Riparian Schemes: Imagining Water and the Hydrosocial Cycle Across Time and Space,” Oecologies, Eds. Vin Nardizzi and Tiffany Werth. Toronto: U of Toronto Press, forthcoming. Louise Noble, Stephen Harris and Graham Marshall. “Blue Sky Thinking in Water Governance: Understanding the Role of the Imagination in Australian Water Policy.” Water Policy, Imagination and Innovation: Interdisciplinary Approaches. Eds. Robyn Bartel, Louise Noble, Stephen Harris and Jacqueline Williams. Earthscan Studies in Water Resource Management. Abingdon, Oxford: Routledge, 2017. Robyn Bartel, Louise Noble and Wendy Beck, “Quixotic water policy and the prudence of placed-based voices,” Water Policy, Imagination and Innovation: Interdisciplinary Approaches. Eds. Robyn Bartel, Louise Noble, Stephen Harris and Jacqueline Williams. Earthscan Studies in Water Resource Management. Abingdon, Oxford: Routledge, 2017. Robyn Bartel, Louise Noble and Wendy Beck, “Heterotic water policy futures using place agency, vernacular knowledge, transformative learning and syncretic governance,” Water Policy, Imagination and Innovation: Interdisciplinary Approaches. Eds. Robyn Bartel, Louise Noble, Stephen Harris and Jacqueline Williams. Earthscan Studies in Water Resource Management. Abingdon, Oxford: Routledge, 2017. Louise Noble, “A Mythography of Water: Hydraulic Engineering and the Imagination.” Palgrave Handbook of Literature, Science and Culture. Eds. Lyn Tribble and Howard Marchitello. London: Palgrave MacMillan. Forthcoming 2016. Louise Noble, "'Bare and desolate now'": Cultural Ecology and 'The Description of Cookham.'" Eco-Approaches to Reading and Teaching English Texts: 1580-1680. Eds. Lynne Bruckner, Jennifer Munroe and Edward Geisweidt. Burlington: Ashgate Press. August, 2015. Louise Noble, "Wilton House and the Art of Floating Meadows." The Intellectual Culture of the English Country House, 1500-1700. Eds. Margaret Healy, Matthew Dimmock and Andrew Hadfield. Manchester: Manchester University Press. August, 2015. Louise Noble, "'I made you eat your parents! ': South Park and Literary History". Deconstructing South Park: Critical Examinations of Animated Transgression eds. Marc Leverette and Brian Cogan, U.S., Critical Studies in Television Series. Lainham: Lexington Books, 2011. Louise Noble, "'Is there no meat above? ': the Story of Starvation, Cannibalism, Corpse Drugs and Divine Matter in The Sea Voyage." AUMLA, Special Issue: 'Cultural Interactions in the Old and New Worlds,' 2007, pp. 255-263. Louise Noble, 'The Fille Vièrge as Pharmakon: the Therapeutic Value of Desdemona's Corpse.' Disease, Diagnosis and Cure on the Early Modern Stage: Praxis and Performance, Eds. Stephanie Moss and Kaara Petersen. Burlington: Ashgate Press, 2004. Louise Noble, 'And make two pasties of your shameful heads': Medicinal Cannibalism and Healing the Body Politic in Titus Andronicus., ELH, Vol. 70, 2003, pp. 677-708. Reprinted in Shakespeare Criticism, ed. Michelle Lee, vol 95 (Detroit: Gale 2006) 677-708.